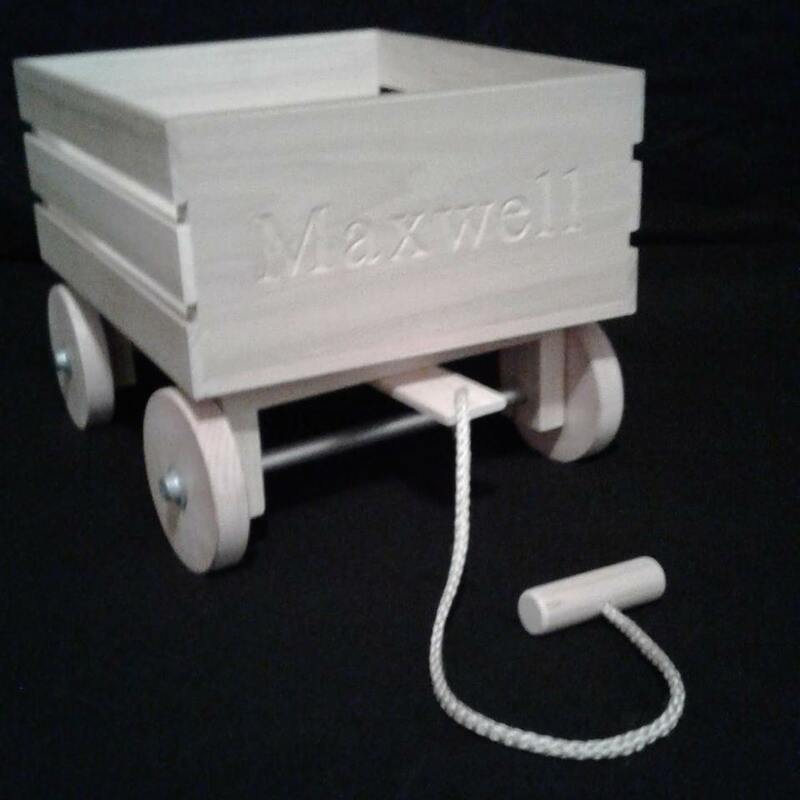 A natural wooden wagon for your little one to pull around with their favorite stuffed animal, doll or anything they can put in and take for a spin. Want some blocks to go along with the wagon? A 54 piece block set that is made in our shop can be added in the drop box below. Doll is NOT included in wagon. Engraving and a clear beeswax finish may be added from the dropdown box.